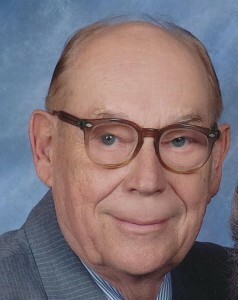 Home Moorestown News Obituary: Neil Gilmour, Jr.
Neil Gilmour, Jr., P.E., of White Horse Village in Newtown Square, Pa. and a former long-time resident of Moorestown, passed away peacefully on Feb. 1 at the age 91. He was the beloved husband of Doris Gilmour (nee Myers) for 66 years and devoted father of Neil III, John and Christine Kaighn, all of whom survive him. He is also survived by his brother, Richard M. Gilmour and his six grandchildren Neil IV, Elizabeth A., David F., Daniel M., Brandan and Marlee J. Gilmour. Neil was a 1942 graduate of Lansdowne High School and a 1945 graduate of Swarthmore College. He combined his college years with service in the United States Navy V12 Officer Training Program and graduated with a bachelor’s degree in Mechanical Engineering. He served in the Pacific Theatre in World War II and was discharged with the rank of Lieutenant junior grade. A professional engineer, he spent his career at Westinghouse Electric Corporation as the district sales manager and professional engineer. For many years, he tirelessly gave his time to St. Matthew Lutheran Church in Moorestown and Good Samaritan Center in Camden. He is fondly remembered by his family for his constant love and support; his deep interest in building and repairing almost anything; camping vacations; weeks at the New Jersey shore, especially Beach Haven; fishing; sports ability; love of the Philadelphia Flyers; and being an all-around wonderful guy. Relatives and friends are invited to his Memorial Service Saturday, Feb. 13 at 2 p.m. at White Horse Village Auditorium, 535 Gradyville Road, Newtown Square, Pa. Interment will be at the St. Matthew Church Remembrance Garden in Moorestown. In lieu of flowers, donations in Neil’s memory may be made to The Alzheimer’s Association, 399 Market Street, Suite 102, Philadelphia, Pa. 19106. Arrangements were made by The Donohue Funeral Home of Newton Square, Pa. Online condolences may be left at www.donohuefuneralhome.com.